How does the Orlando Dermatology Center define & diagnose Rashes? Immunodeficiency/immunosuppression, radiation, trauma, medications, stress, or other infections have been proposed as triggers. Erythema, regional lymphadenopathy, and grouped herpetiform vesicles then develop. The cutaneous findings are typically unilateral and usually do not cross the midline. 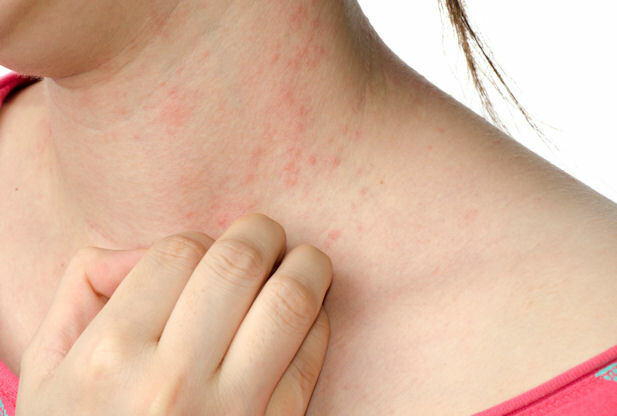 Skin rashes are first diagnosed by Dr. Blatnoy and his experienced staff. Following diagnosis of the source and cause of the rash, proper treatments are administered such as steroid shots, creams, or even over-the-counter recommendations for mild rashes.